Premium heavy duty plastic back range. 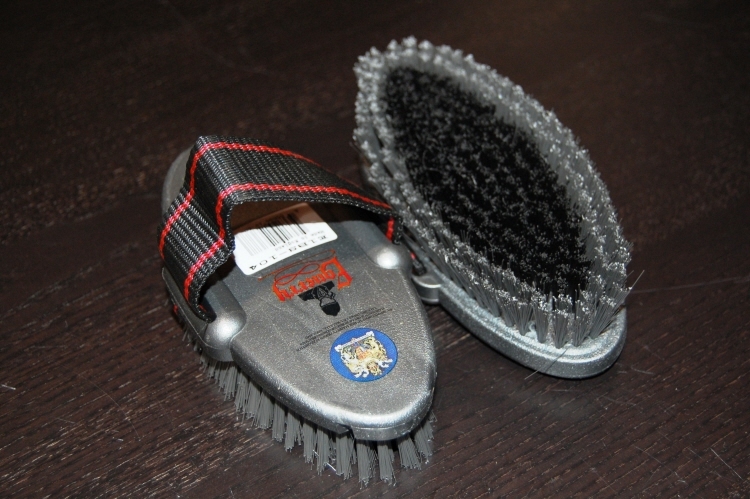 Equerry Body Brushes have adjustable straps - simply fold ends back into slot. Provides 3 strap lengths.